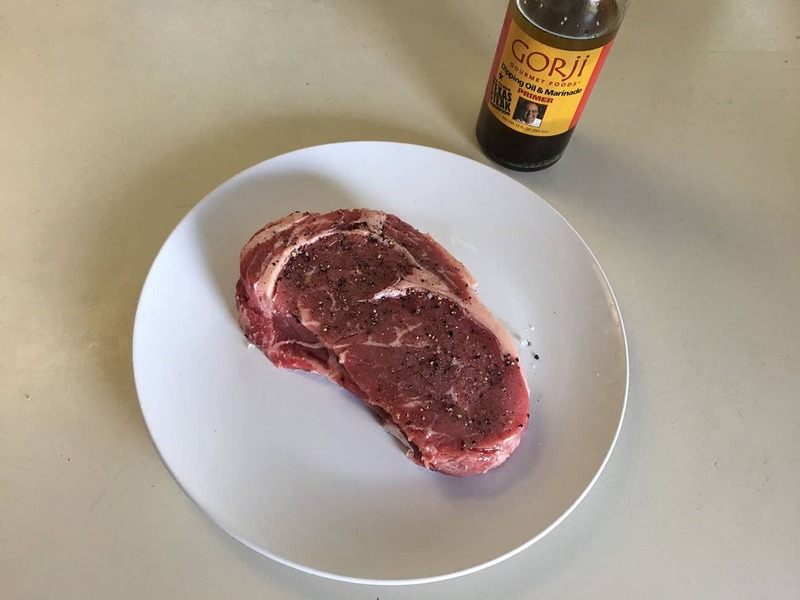 Ribeye Steak seasoned with Gorji Gourmet Dipping Oil & Marinade. 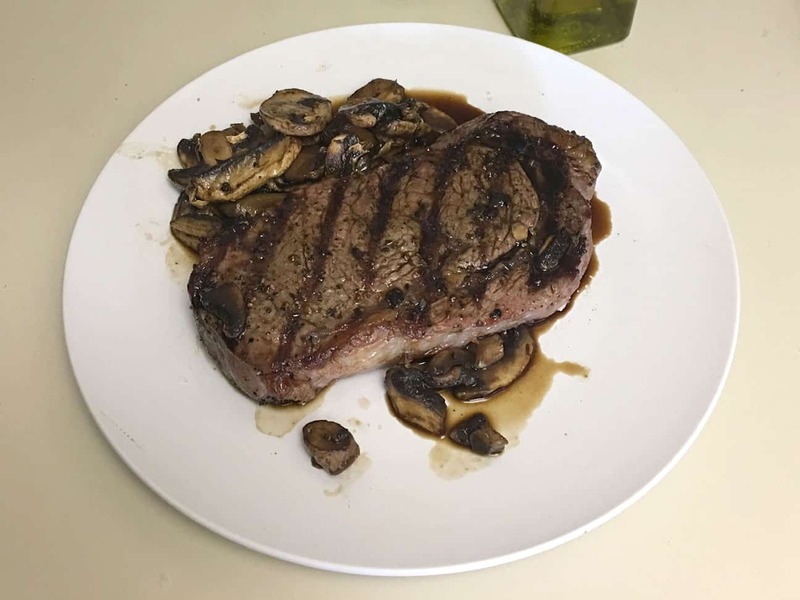 I take the ribeye and mushrooms out of the refrigerator 20-30 minutes prior to cooking. I let the grill warm up for about 5 minutes, so that it’s nice and hot. After putting the steak on, I check the cooked side (without flipping it) every couple of minutes. While waiting, I constantly keep an eye on the grill. 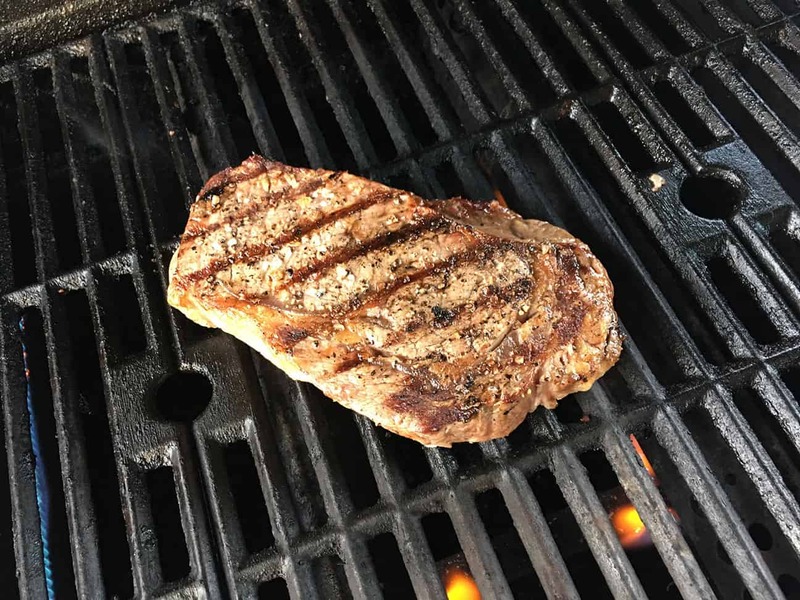 A large amount of smoke coming from the grill may indicate a flareup, which I don’t want. When the first side of the steak is done, I flip it over. I then start sautéing the mushrooms with the marinade. I sauté the mushrooms until they are softened, but not soggy. The mushrooms are usually done in about 3-5 minutes, which is about the time the other side of the steak is done. I turn off the heat, and put the steak on a plate to rest for a couple of minutes. Finally, I pour the mushrooms and sauce over the steak. No Replies to "Ribeye Steak with Sautéed Mushrooms"